Amazon announced fee changes on Wednesday that will make it cheaper to sell in certain categories (via referral fee reductions), and will generally make it more expensive to use Amazon's FBA fulfillment services. However, sellers were very pleased to learn Amazon was lowering FBA long term storage fees. While some sellers seemed unclear upon hearing the news, the referral fee changes impact all sellers, whether or not they use FBA. Why the lower referral fees? To increase product selection on Amazon. While Amazon noted increased costs to ship and deliver orders, it also said it has improved efficiency across its fulfillment network. As a result of both the referral and FBA fee changes, Amazon said 60% of FBA units shipped would see higher costs for sellers, while it expects over 40% of FBA units shipped to experience no change, or even a decrease. 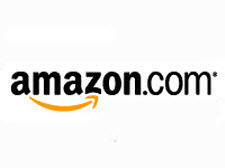 In addition, Amazon is introducing separate fulfillment fees for dangerous goods that contain flammable or pressurized aerosol substances and items containing lithium ion batteries. For example, a small standard item with a shipping weight of 10 ounces or less and a packaging weight of 4 ounces will incur an additional $3.27 dangerous-good fulfillment fee as of February 19, 2019 - and the fees go up from there as the size increases. Amazon is also introducing separate monthly storage fees for dangerous goods that contain flammable or pressurized aerosol substances. It's easy to see why - earlier this month, news outlets reported that some Amazon warehouse workers in New Jersey were sent to the hospital after a robot punctured a can of bear repellent. Amazon is giving sellers 2 months to prepare for the fee changes, most of which go into effect in mid-February. EcommerceBytes obtained the notification Amazon sent to sellers on the changes to referral fees effective February 19, 2019. - Reduction of the per-item minimum fee from $1.00 to $0.30 across all applicable categories. The minimum fee for Jewelry and Watches will decrease from $2.00 to $0.30 per item. - Reduction of the referral fee percentage for Baby (excluding baby apparel), Beauty, and Health & Personal Care (including personal care appliances) from 15% to 8% on products with a total sales price of $10.00 or less. The referral fee on products with a total sales price above $10.00 will remain at 15%. - Reduction of the referral fee percentage for Furniture items (except for mattresses) from 15% to 10% on any portion of the total sales price above $200.00. You will continue to be charged 15% on any portion of the sales price at $200 and below. - Reduction of the referral fee percentage for Jewelry items from 20% to 5% on any portion of the total sales price above $250.00. You will continue to be charged 20% on any portion of the sales price at $250 and below. - Reduction of the referral fee percentage for Grocery and Gourmet products from 15% to 8% on products with a total sales price of $15.00 or less (previously announced on August 16, 2018). Explaining the move, Amazon wrote in its letter to sellers, "This year, we are lowering our referral and minimum referral fees across categories to help you increase your selection of products." Let us know what you think of the new fee structure and how they impact you. And as always, thanks to readers for sharing the info. Since most of my items are under 10, I love it. I think this will help me defray the impact of the new shipping prices on some items so that I can hopefully leave them as they are. Will ebay undo the idiotic 12% FVF they instituted on low-dollar media items, to "match" amazon? This is probably a knee jerk reaction to the accident they have earlier this month when a package of dangerous items was ripped open by the sorting machines and sent more than a few people to the hospital. No only will Greedbay start something like this they will charge you both arms to sell it. But still no changes in what Amazon allows for shipping. With shipping prices going in 2019, and Amazon stuck with what they will allow sellers to charge, one could look at that has a "fee" increase. Sellers get clobbered on heavy items so it's best to keep that in mind when purchasing new items to sell. Some of this will be offset by the fee decreases above, unless you are shipping heavy sheet sets or iron skillets. eBay wants to be Amazon. Don't expect them to follow suit however. Off topic, lately I have been seeing a lot of my "stagnant" items selling on eBay. Has eBay changed search again? In the past few years stagnant items that did not sell fell into a black hole. I've had three stagnant items sell this week, and I am embarrassed to say that these are items that I have had on eBay for years. Yes, sell the cheap crap nobody wants, that is less than crumbs for you guys. And who loves to make a penny per sale? Just take a wild guess. Who can survive on a penny profit? "sell the cheap crap nobody wants"
Sold an athletic item this morning for $75 and some change. After fees my earnings are $68.12. My cost for this item was quite low. In all likelihood, I will have no issue with the buyer as I rarely do on Amazon. Amazon for the most part leaves me alone. I can live with it. I do wish that they would increase their shipping allowance though. They won't increase the miserly $4.49 shipping voucher because it's the lever they use to push you into paying their FBA rent. I sell very little on Amazon right now. I learned the hard way that the items I list have to have a high enough profit to offset the losses by buyers returns. Hate getting back a different item that is worthless. Returns for any reason? Bezos can afford to eat it. He can afford anything. However small sellers are not in his position and find it difficult to make a buck anymore on Amazon. I thought Amazon charged 15% in fees? You paid less then 10%, how did you do this? Are these fees the current fees on Amazon?